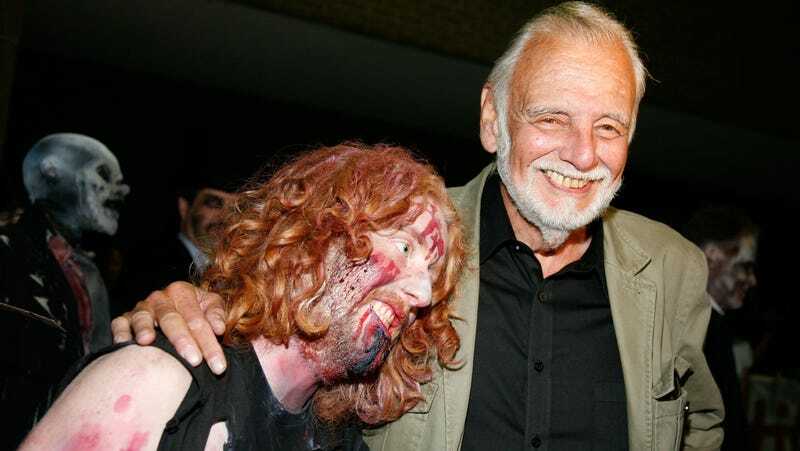 At the beginning of October, Suzanne Desrocher-Romero teased that she was working on a plan to release a little-seen film that her late husband, iconic filmmaker George Romero, had filmed in 1973. She wouldn’t say much else, but now author Daniel Kraus has had a chance to see the long-buried film, and he is extremely excited to talk about it—even if nobody else can watch it just yet. The movie is called The Amusement Park, and in a twitter thread, Kraus says it’s a “revelation” and that it might be Romero’s “most overtly horrifying film.” It’s apparently a nightmare PSA about ageism that was deemed “too powerful for American society,” convincing the people who initially funded it and controls the rights—which is some religious group, according to Twitter—to bury it in hopes that people would never see it. Kraus adds that he’s committed to changing that, saying it’s “one of those magical (cursed?) objects” that he can’t believe has fallen through the cracks of history, and “people are working on” a way for the public to experience the horror of The Amusement Park. Those “people” seem to be the George A. Romero Foundation, which has a page up on its website to raise money for a restoration of The Amusement Park. Meanwhile, if anyone doubts Kraus’ George Romero cred, he’s the guy who Desrocher-Romero personally tapped to finish The Living Dead, a zombie novel that Romero left unfinished when he died. He’s also the co-author of Guillermo del Toro’s book version of The Shape Of Water, so there are a few reasons why he was able to see this film while you cannot.